We’re using Facebook, Twitter and Instagram apps on smartphones. Then, what about the Mac? 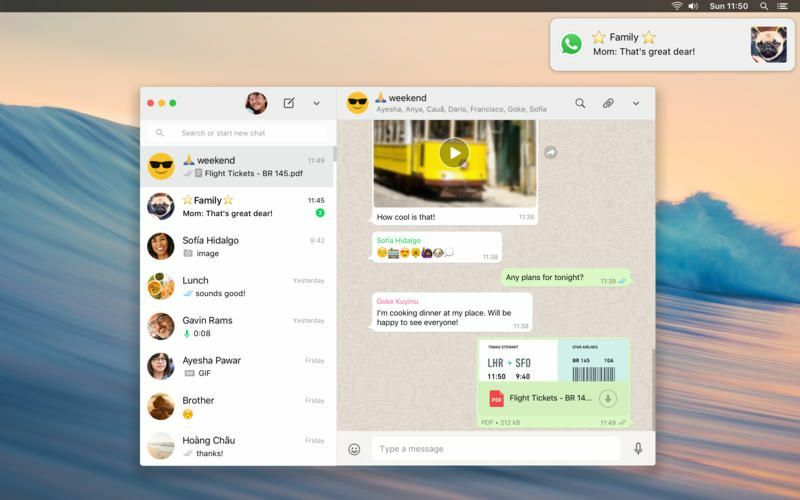 In this article, we’ll show you 9 best social media desktop apps for Mac OS. They let you contact friends and followers on your favorite social sites & get in touch with them via voice calls and instant messages. 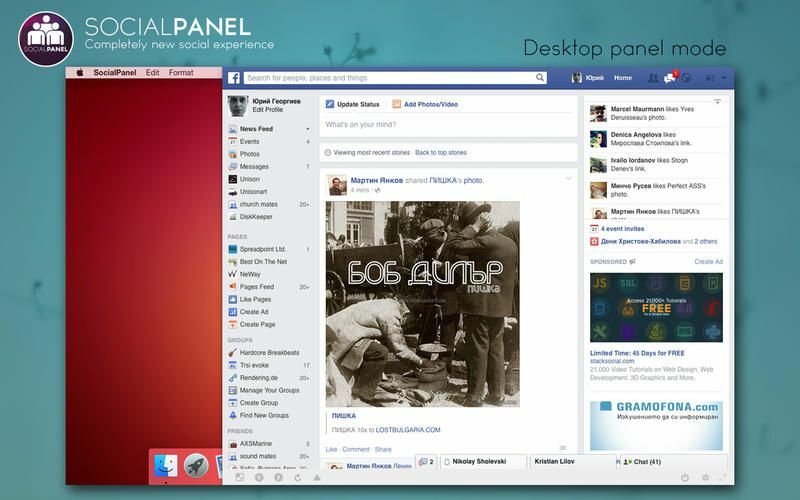 Access your favorite social networks right from the desktop. It stays hidden until you bring the mouse pointer to the very right side of the screen. SocialPanel covers major social sites including Facebook, Twitter, Google+, LinkedIn, Instagram, Pinterest, Tumblr and others. You can browse them in four different visual modes- mobile, desktop, full screen and menu bar pop up. It is easy to use, allows you to upload files and open links in external links etc. iGallery is a fabulous app to browse your Instagram feed on the Mac. You can view popular photos, videos on the network & like and comment any media item you want. It also allows you to search people, tags, places and follow them directly on the app. 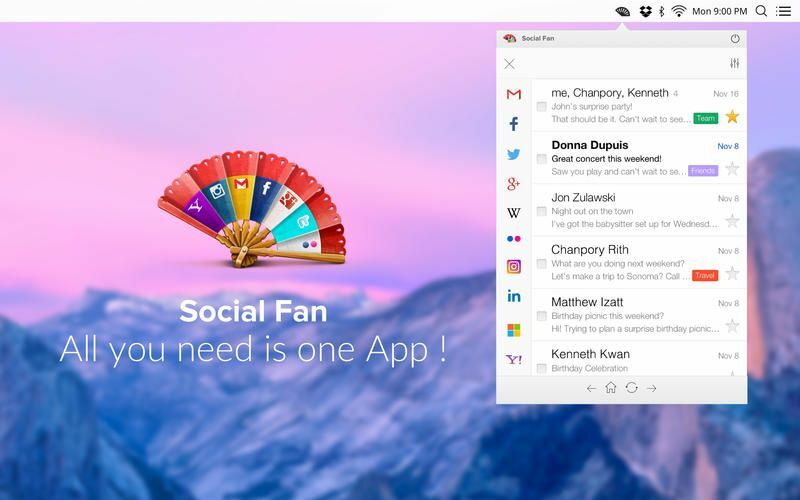 SocialFan is an all-in-one app to manage your social accounts from one place. Browse social media, check emails and open other common sites are never easier like this before. Users can easily switch in between apps without logins, logouts and in a single click. It supports Facebook, Twitter, Instagram, LinkedIn, Gmail, Flickr, Google+, Yahoo and Wikipedia. Schedule, send tweets, read messages and track conversations in real time. TweetDeck is a great companion for Twitter users. It has a beautiful layout where you can manage the whole Twitter account, connect followers, read latest topics, join conversations and more. WhatsApp is a common instant messaging service for smartphones. We use it for communicating with people around the world at free of cost. The Mac app also lets you read, send messages, attach files and much more. It provides end-to-end encryption to your messages for enhanced privacy and security. So no one else can read it other than you and the recipient. Group chats, read receipts, sync between the devices are other major advantages of WhatsApp. MenuTab is a free app to control your Facebook account on the Mac. It lets you browse the news feed and manage other parts like profile, pages, groups, inbox, photo albums, events and more. It provides real-time updates on your account with options to send status messages, like and comment on posts. After installing, you will see MenuTab icon on the top menu bar where you can click to open the account. The window is resizable and comes with powerful notifications, spell checking support etc. 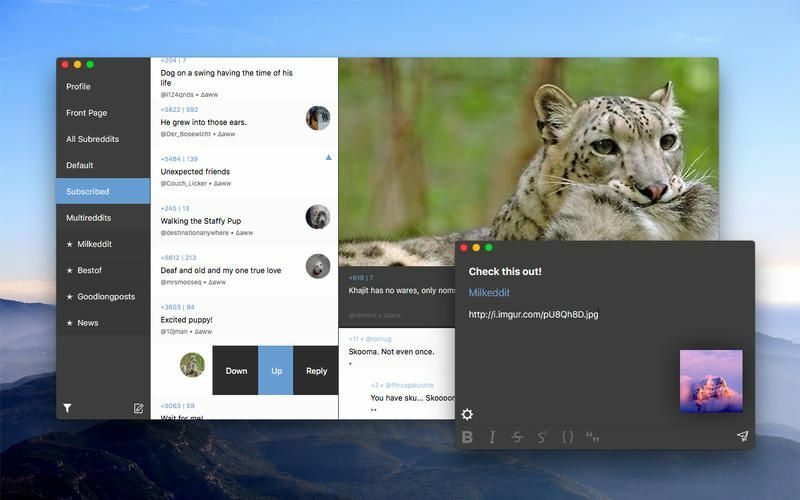 Milkeddit is a gorgeous Reddit client for Mac systems. It delivers an unforgettable visual experience to the Reddit users with a customized interface and support to the multiple accounts. The app comes with a collection of well-designed themes & full control over the data and posts. You are able to search across the reddits and mute certain words or phrases from appearing on your feed. Content filter, subscribe and bookmark subreddits, quick photo browsing, 3D touch and image upload are some other features of Milkeddit. Skype is a popular video calling app. It also provides voice call and instant message services. You can send text and video messages, attach files and media to them, make video conference calls and more with Skype. Most of the Skype services are free. But a nominal charge is applicable for calls to mobiles and landlines. 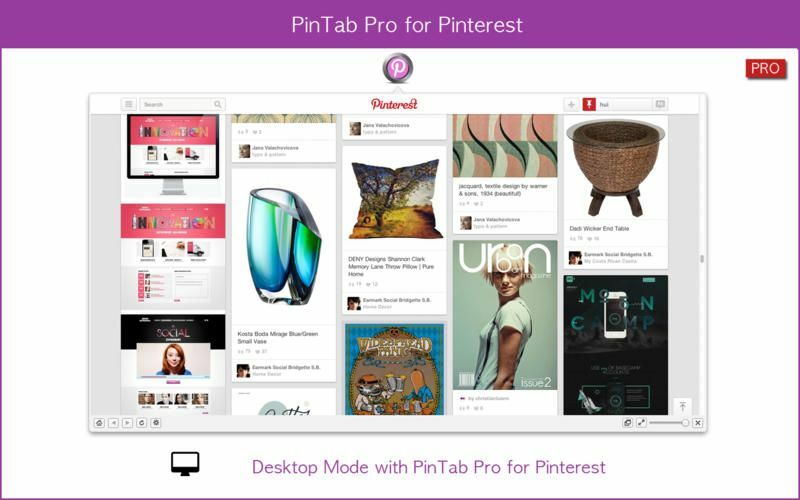 Access your Pinterest pins with one click on your Mac. You can easily switch in between the modes- mobile and desktop- to view images on the photo-sharing site. Hit the icon on the menu bar to open the app or by using the customizable shortcut key Command+G. It will alerts you with pop up notifications and audio alerts while receiving a new pin. PinTab is highly customizable in terms of window size, opacity, alerts, icon color etc.